I always thought it looked cool, but figured players had been skating most of their lives. I never seriously considered trying to play as I had only skated at birthday parties and field trips when I was young. Then, I moved to Marietta, OH, and met some players from Hades Ladies (Hell’s Orchard Roller Derby) who informed me they had no skating experience prior to joining. I tried out some of their boot camps and went to some of their practices and thought it was great. I was gifted skates and gear as my 30th birthday present ❤️. Soon after that, I moved to Columbus for a job. 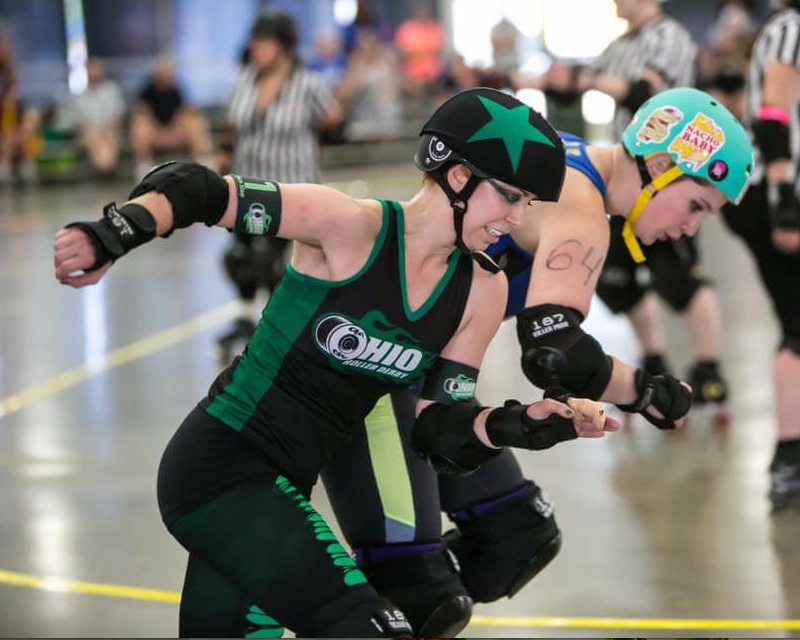 I went to a couple OHRD WannaBe Clinics, then joined OH!RL Rec League. Tried out in the fall of 2016 for OHRD and here I am. This will be the start of my second year. To be more consistent with my gameplay and have more control and speed on my skates in a way that benefits my team. Traveling, trying new foods, cooking, art-making, spending time with those I love, being outside, sand volleyball, biking, reading. Helping with Equity and Inclusion as well as Recognition and Orientation of new members. 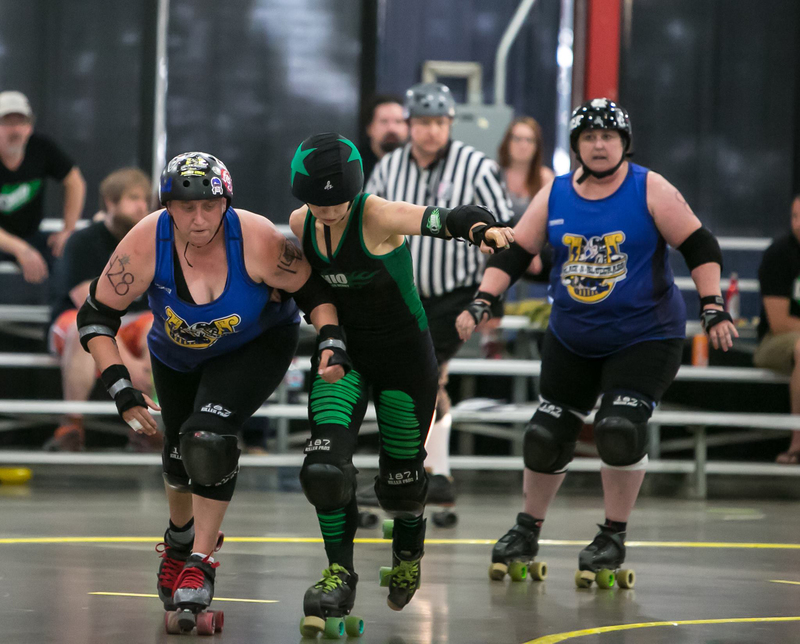 The second to last home bout in 2017 was, I felt, one of the bouts that I performed the strongest in, as a jammer. In general, I’m very thankful for the rookie class that I began with and became friends with over this past year, as well as other positive and supportive people I have met through derby.